It has been nearly three years since I wrote a post which considered the question of the role of books in today’s digital world – https://jennymackness.wordpress.com/2014/02/05/rhizomatic-learning-knowledge-and-books/ That post led to a surprisingly heated discussion about the value of books and a comment quoting Iain McGilchrist. This week I have watched a BBC documentary that seems to support McGilchrist’s view. The title of the documentary was ‘The School that got Teens Reading’. 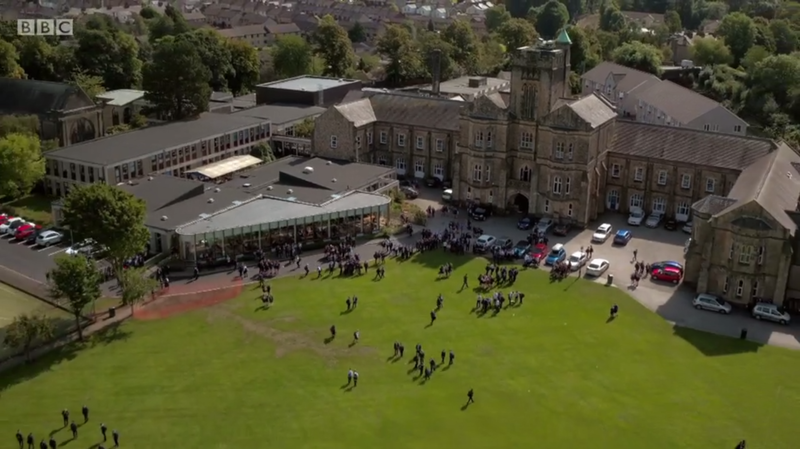 It caught my attention because it was filmed at a local secondary school, Ripley St Thomas Academy in Lancaster which is purportedly the biggest state school in Lancashire and has received an ‘outstanding’ Ofsted Report. Despite this the Headteacher bemoaned the fact that too many of her teenage pupils could not be persuaded to read a novel. Her attempt to solve this problem was to call in the help of actor and comedian Javonne Prince who owned to having left school at the age of 16 without being able to read properly, but who was introduced to Shakespeare and the power of books in drama school and now believes that discovering books changed his life. The Headteacher gave him three weeks to convert 15 reluctant and resistant teenagers into passionate readers. These pupils were selected because they admitted to not having read a book for the past two years or more. Needless to say Javonne found he had a tough job on his hands and after a rocky start had to call in the help of two friends, Helen Skelton, a children’s author and TV presenter and Russell Kane, another comedian and actor. Ultimately through the use of a variety of strategies they achieved success, at least in the short-term, with 11 of the pupils. Only time will tell whether these teenagers become long-term passionate readers. What was interesting were the initial attitudes of these teenagers, who said things like ‘I don’t do reading’, ‘Reading is boring’ and that books are not relevant to their lives. They claim not to have time to read and would prefer to be on Facebook, or watch films on Netflix, TV or YouTube. If they need to know something they Google it on their phones. They like a ‘quick fix’ to any questions they have. A shot of the pupils at the end of the school day in the school grounds showed most of them on their phones. One pupil said, ‘I don’t think I have the attention span to get into the book and understand the character’. British schools’ teenagers don’t like to read. Reading novels has fallen out of fashion all over the country. Research shows that teenagers who read for the joy of it are much more likely to get a better job as adults. Parents play an important role. Primary school children who are read to every day are more likely to enjoy reading into adult life. Most teenagers spend 4 hours a day online which is double the time of 10 years ago. Reading is one of the best ways to strengthen empathy. Some American psychologists believe that reading literary fiction helps us recognise other people’s emotions and understand how they feel. Iain McGilchrist has also talked about how children are losing the ability to empathise – https://jennymackness.wordpress.com/2015/03/27/the-divided-brain-are-we-actually-alive-iain-mcgilchrist/. The documentary did not at any time suggest that the problem lay with technology; rather it attempted to make the case for the valuable learning that can come from reading novels. One thing that did come out of the programme is that there is little point in having the whole class read the same book, since each child/teenager has their own unique personality, skills and interests. What was not discussed was why the teenagers were asked to read a hard copy of the same book. If they had used technology (Kindle, phone etc.) they could each have read a book of their choice, but presumably this approach would not fit with the school’s assessment constraints!